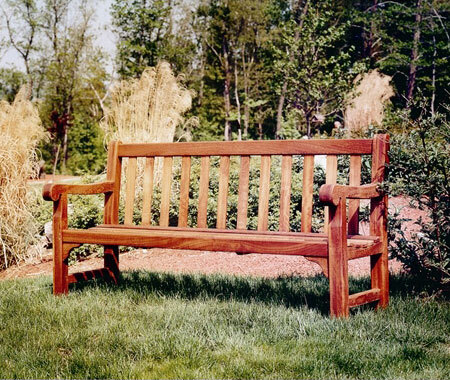 #401 | American Holtzkraft, Inc.
#401 Customized American Holtzkraft Bench with custom back design. Optional mahogany finish wood toning. Almost maintenance free, this furniture begs to be appreciated wherever you relax to enjoy nature and talk with family and friends. All American Holtzkraft, Inc. furniture products are available in a variety of wood species including: Plantation-Grown Teak and Western.